The Baiji by D. Marie Prokop is a short children's story about the culture of China, the environment that the Chinese people live in, particularly along the Yangtze River, and a friendship found and lost. To the outside world, Ai Bao and Shu Rui were an unusual pair, but despite what others thought, they enjoyed each’s company. They had a favorite saying that they shared: “You’re my best friend in the whole big wide world!” One day, Ai Bao asked Shu Rui what was her favorite animal and while Shu Rui was unsure, Ai Bao knew what was her favorite, a baiji. A baiji is a silver-gray freshwater dolphin once found in the Yangtze River in China. Through The Baiji by D. Marie Prokop, children are educated about a few elements of the Chinese culture from the baiji, an endangered species, and food of the Chinese culture to the Yangtze River. At the end of the story, children are asked a few questions about the story to gauge their comprehension and knowledge, which is a great cognitive exercise. 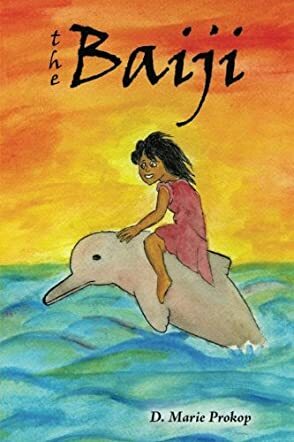 In introducing The Baiji by D. Marie Prokop, this is an excellent way to teach children about other cultures. I love sea life and had never heard of a baiji. My curiosity got the best of me so I wanted to see a photo and learn more about the baiji. The baiji appears to be a hybrid between a dolphin and a swordfish. I love how D. Marie Prokop is so engaged in the education process for children that not only are questions asked for comprehension, but immediately the reader is given the pronunciations of Chinese words associated with reading The Baiji. If you want your child to learn about other cultures, begin with The Baiji by D. Marie Prokop.